A canoeing enthusiast might want to look into purchasing their own canoe rack for their vehicle, but if the vehicle is a pickup truck, choosing a truck rack can become tricky. Most racks are made for cars, and most pickups have a shorter roof space than a car and an extra space in the back. It is important that the straps and attachments fit the pickup well. Also, it is key to take a good look at the canoes. Some racks are made to carry a single canoe; others are made to carry more. The carrier needs to fit the truck as well as the canoes that will be carried to make sure that it is the proper rack. If only one canoe is being transported, it is better to stick with the single canoe carrier. It will provide better support and security. Keep in mind that make, model and size of the canoe are important as well. Some canoes just fit better with certain racks. A good way to find the proper fit is to measure both the pickup and the canoes. Having the measurements handy when shopping for a pickup truck canoe rack will make the process much easier. Keep in mind the carrier is not just about getting the canoes from place to place. It is also about protecting the pickup and the canoes in the process. A high quality carrier will have padding to protect the canoe and pickup from scratching and cracking. Once purchased, the rack should be installed and the canoes attached into the carrier. 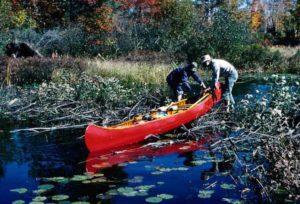 Taking the time to ensure the set up is right will save the canoe and pickup from damage down the road. 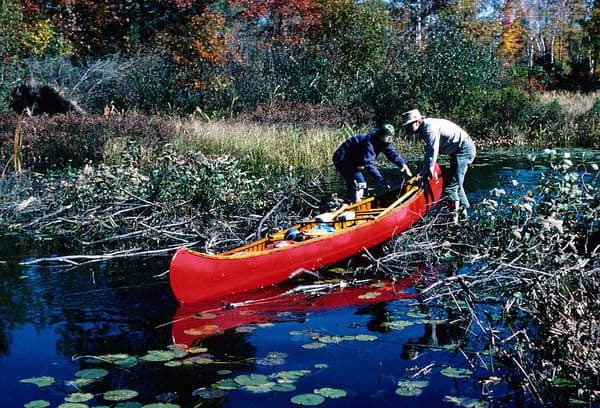 The straps should be tight enough so that canoe does not shift and bump during transport. However, if the straps are too tight the canoe and the pickup could be damaged. The canoe could warp or crack as could the truck. Finally, it is important to decide if the pickup truck rack holding your canoe is going to be safe for the driver of the trucks and the other drivers on the road during transport. No rack should be used if it presents danger to people during transport.